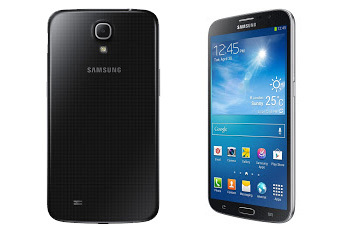 Samsung Electronic announced the Samsung Galaxy Mega 6.3. The Samsung Galaxy Mega 6.3 has 6.3-inch HD Display, 1.7 GHz Dual Core processor, 1.5 GB RAM, 8 MP rear camera and 1.9 MP front-facing camera. The device runs on Android 4.2 Jelly Bean. The Galaxy Mega comes with 8/16 GB Internal Memory and it supports microSD up to 64 GB. Group Play’: Enables easy content sharing for up to 8 devices on the same Wi-Fi network. ‘Samsung WatchON’: Transforms into an IR remote controller for a richer TV experience. Connect the device to your home entertainment system, and it will provide program recommendations, schedules, and even remotely control your TV. ‘Samsung Link’: Easily streams photos, videos, notes, or music to your television, tablet or computer. ‘S Translator’: Say or text what you need translated into the GALAXY Mega, and it will provide instant translation, using text or voice translation on applications including email, and ChatON. ‘ChatON’: Share what’s on your screen with friends to stay more connected. Other modes are Rich tone, Sports & Panorama. The GALAXY Mega 6.3 will be available globally beginning May from Europe and Russia.